Finding a reputable used car dealership can easily mean the difference between a car buying experience that is a dream come true, or a complete and total nightmare. As a used car buyer, learning to discern the difference between a good dealership and a great dealership, can make all the difference when it finally comes time to buy. Here in the Chicagoland area, the suburban streets are littered with used car lot options. From the roadside lot with shady salesmen and under-the-table dealings, to renowned locations with fair sales practices and a friendly team – the trick is learning how to spot the good apples in a barrel of bad ones. Before you set out for a day in the suburban used car jungle, take a moment to familiarize yourself with some things to keep in mind along the way. A small amount of due diligence now can pay major dividends later on. Rather than approach the used car industry blindly, equip yourself with everything you need to know to ensure your next new-to-you vehicle purchase is a sound and wise investment. Reputation: If there is one thing that consumers in America are great at, it’s giving their opinion of a buying experience. Whether it involves food at a restaurant, service at a neighborhood grocery store, or acquiring a new car, people in the United States love weighing in and using their voices. If the used car dealership you are considering does not feature online reviews, exercise caution moving forward. This either means that they severely sensor the reviews of their customers, or they are an overnight pop-up sort of shop – neither of which translates into a good thing for you. A reputable used car dealership should have a fair amount of exceptional reviews, with a few bad apples sprinkled in. Pay attention to how management responds to negativity, if at all. This is the best way to measure the level of customer service prior to engaging with employees at the actual dealership. A great business owner will respond promptly to complaints, and offer some sort of resolution. If a car lot has bad reviews without any sort of public response, be wary. Dealerships that do have negative report cards, but promptly respond with conflict resolution measures, are usually on the safe side. Regardless – don’t go into a used car dealership without first exploring its business reputation, and the management of said reputation. This is the first and easiest step to take in order to secure a positive used car buying experience. Pricing Practices: All too often, used car dealerships take certain liberties when it comes to pricing the vehicles on their lot. New vehicles come with a manufacturer’s suggested retail price, or MSRP, so this unsavory sales method is not an issue when shopping for cars straight off of the assembly line. Keep a watchful eye on window stickers, and ask questions on any line items that are confusing to you. Used car lots are notorious for tacking on excessive items, as most customers don’t think to ask what a “dealer prep fee” is, or why they should have to pay for it. Bottom line – a great used car dealership will include all necessary fees in the car’s overall price, and will practice transparency in their pre-owned vehicle pricing. 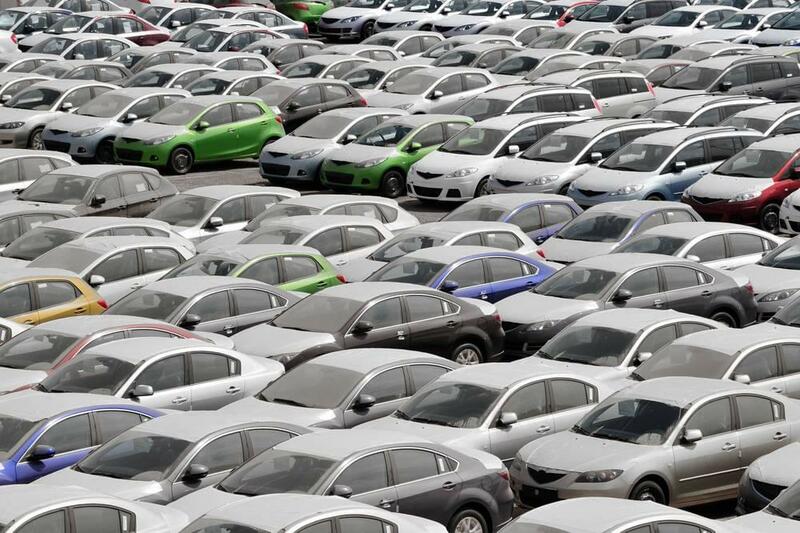 Finance Fumbles: When a used car lot can’t get you to pay excessive dealer fees that are tacked onto the sticker prices of used vehicles, their finance department will try and take a shot at skimming more money out of your wallet. While most people will need to finance their new and used car purchases, a vast majority of those individuals don’t realize that they can obtain financing outside of the used dealership they are purchasing from. Whether you plan to get pre-approval from an outside institution or not, at the very least do your homework prior to heading into a dealership. Having a general idea of current finance rates, terms, and conditions, can help you spot a shady deal as soon as it slides across the finance manager’s cheap wood veneer desk. Unnecessary Add-Ons: When a used dealership can’t get you to pay higher finance rates, or pay $500 for the car wash that took their minimum-wage worker five minutes to complete, they will likely try to upsell you on items you don’t need. While this shouldn’t be a deal breaker in and of itself, it should be approached with caution. Just as the restaurant will try to sell you the margarita with the more expensive tequila, so will any car dealership offer you add-on items to your vehicle purchase. Keep in mind, however, that offering something, and persistently pushing it on you, are two very different things. If the salesperson is making you feel uncomfortable or otherwise pushed into add-on items you have clearly expressed zero interest in, it may be time to move on. Remember, until you sign that final paperwork it’s never too late to get up and exit an uncomfortable buying situation. Buying a pre-owned vehicle shouldn’t feel like a gauntlet in which the goal is to simply survive. At Chevrolet of Naperville, we provide buyers with a comfortable and transparent used car buying experience, ensuring they feel confident. Don’t settle for a used car dealership that leaves you feeling anything less than completely in control, satisfied, and ultimately happy. 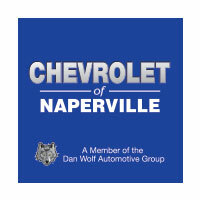 Be sure to stop by Chevrolet of Naperville before you commit to any other used car dealership. With a large inventory of high quality pre-owned cars, trucks, and SUVs, and a team that is committed to your ultimate satisfaction, there is no better place to embark on a used car buying journey than at Chevrolet of Naperville. Stop by today, and discover what a great used car dealership looks like.